The 2015 Summer Movie Season rolled ahead with a number of high-profile releases in June. However, none could match the record-breaking box office might of Jurassic World and Inside Out, respectively. Both films exceeded expectations in one way or another, with Disney and Pixar's latest effort in particular earning positive results for original, non-franchise fare after the studio's disappointment of Brad Bird's Tomorrowland. This month brings even more blockbuster hopefuls to moviegoers. A number of our most-anticipated films of the year are set to invade theaters, including a family-friendly Despicable Me spinoff, Tom Cruise's latest impossible mission and the next entry in the Marvel Cinematic Universe. 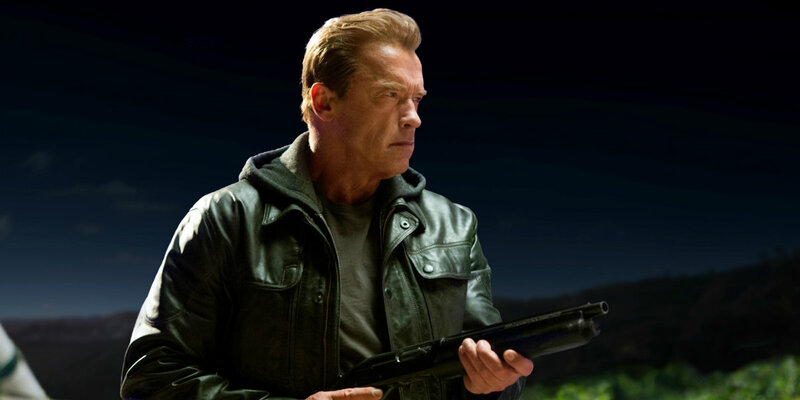 Longtime fans may have largely cooled on the Terminator franchise since James Cameron's 1991 classic Terminator 2: Judgment Day, but the return of Arnold Schwarzenegger and the injection of some fresh blood in director Alan Taylor (Thor: The Dark World) could transform Terminator: Genisys into a big-screen success. The film - as its trailers have perhaps too blatantly spelled out - looks to reset the continuity of the series as well as serve as a reboot of the franchise itself. J.J. Abrams' 2009 Star Trek managed to reinvigorate the crew of the Enterprise for a new audience. It remains to be seen if Terminator: Genisys can accomplish the same feat for the Terminator franchise. Regardless, Schwarzenegger and the creative team behind the film are betting on its future here, and the result will likely either jump-start the series or propel it further into hibernation. Terminator: Genisys is now in theaters. Read Screen Rant's official review of the film. Back in 2012, Magic Mike proved to be one of the year's more surprising smash hits, bringing in $167 million worldwide against a $7 million production budget. The film - along with 21 Jump Street earlier that same year - also solidified the leading-man status of star Channing Tatum and served as a vital step on Matthew McConaughey's road to an Oscar. Now, with McConaughey out and Soderbergh serving as cinematographer/editor only, Tatum and company return aim to recapture that box office gold with Magic Mike XXL. The new film sees Mike (Tatum), Ken (Matt Bomer), Richie (Joe Manganiello), and so forth, on a road trip for one final show; the sequel will likely attract the same built-in audience as the first movie, so the real challenge ahead for Magic Mike XXL is expanding its fanbase beyond that. Magic Mike XXL is now in theaters. Read Screen Rant's official review of the film. Ever since Despicable Me introduced the mischievious yellow-skinned creatures known only as "minions", the lovable little guys have developed into the franchise's most popular asset and an instant cashcow in and of themselves. So it seemed only natural when a feature-length spinoff was announced. Minions tells a story set decades before the eponymous characters started working for Steve Carell's Gru, as they come under the employment of supervillain Scarlett Overkill (voiced by Sandra Bullock). The minions may speak largely in gibberish, but their irreverent sense of physical comedy has undeniably broad appeal, and Universal could very well have one of the year's biggest moneymakers on its hands: an entire film devoted to their antics. Check out the latest trailer for Minions. Much like Ex Machina earlier this year, Self/less - at least judging by its marketing - is a sci-fi drama/thriller that takes a closer look at what it means to be human and humanity defines self-identity. Ben Kingsley stars as Damien, a wealthy cancer patient who undergoes a medical procedure that transfers his mind into the body of a healthy young man (Ryan Reynolds). Of course, conspiracy abounds, and Damien soon discovers a dark mystery behind his new body. The latest film from director Tarsem Singh (The Cell, Immortals), Self/less should deliver on a stylistic level, an area in which most of Singh's films excel. However, its high-concept premise and the complicated morality involved in the consciousness transfer process are the real draw, giving the film the opportunity to provide moviegoers with a more thought-provoking cinematic experience than some of this month's other releases. Check out the latest trailer for Self/less. While The Avengers capped off Phase One of the Marvel Cinematic Universe in 2012, the second phase of the studio's ongoing superhero saga will wrap up with a very different sort of film. Ant-Man may not be able to compete with Avengers: Age of Ultron as far as sheer scope, but the movie - which introduces Paul Rudd as costumed size-shifting hero Scott Lang - will finally bring the final members of the founding Avengers (in the comics) to the big screen. For years, Edgar Wright (Shaun of the Dead) was attached to adapt Ant-Man, but even with Peyton Reed in the director's chair, the film's tongue-in-cheek tone and rumored connections to the larger MCU could help propel it to the top of the box office. After all, Marvel Studios has yet to produce a commercial flop and continues to hold one of the strongest brands in the business. Even without Tony Stark or Star Lord, expect Ant-Man to continue that trend. Check out the latest trailer for Ant-Man. Judd Apatow arguably played a significant role in resurrecting R-rated comedies with mid-2000s efforts like The 40 Year Old Virgin and Knocked Up. However, the director's more recent films - namely, Funny People and This Is 40 - have failed to match his earlier work in terms of both box office and critical praise. With Trainwreck, Apatow teams up with writer/star Amy Schumer (in her first leading film role) for a story about a commitment-phobic young woman faced with the prospect of a real relationship when she meets a charming sports doctor (Bill Hader). The film could either be Schumer's key to a film career - and one of the best female-led comedies in recent years, to boot - or a missed opportunity of epic proportions. Only time will tell. Check out the latest trailer for Trainwreck. Between his numerous performances as The Lord of the Rings' Gandalf and X-Men's Magneto, Ian McKellen is no stranger to big-budget Hollywood blockbusters. The Oscar-nominated actor has brought countless iconic characters to life over the course of his career, and now he takes on one more. In Mr. Holmes, McKellen plays an elderly Sherlock Holmes determined to solve an unsolved case from the past. The film reunites the actor with his Gods and Monsters director Bill Condon, and though some may argue that the world does not need another version of Sir Arthur Conan Doyle's literary detective, the idea of a gifted actor like McKellen as an aging Holmes working one final case may be too promising to pass up. Check out the latest trailer for Mr. Holmes. These days, the age of reboots is fueled almost exclusively by the rose-tinted glasses of nostalgia. Few films encapsulate this trend in as inventive a way as Pixels, the upcoming sci-fi action comedy in which the past literally strikes back when retro video game characters like Pac-Man and Donkey Kong attack Earth. The additions of Adam Sandler and Kevin James among the cast may turn off some viewers, but Game of Thrones' Peter Dinklage looks like he will prove to be a standout in the film. Moreover, Pixels could be one of the most unabashedly fun films to hit theaters this summer, relishing in the lunacy of a premise simply designed as popcorn entertainment. Check out the latest trailer for Pixels. Teenage tearjerker The Fault in Our Stars was one of last year's biggest hits, to the tune of more than $300 million worldwide. Now another film based on the work of novelist John Green is poised to replicate that success. Centering on the search for a myterious neighborhood girl, Paper Towns features up-and-comers Nat Wolff and Cara Delevingne in the lead roles, and the film could cement their star status (as well as the box office draw of Green's books). The romantic drama could certainly serve as smart counter-programming to the month's more star-studded affairs and draw in teen audiences the world over. Check out the latest trailer for Paper Towns. With the back-to-back success of The Equalizer and Olympus Has Fallen, director Antoine Fuqua may be at an all-time career high, and Southpaw, his upcoming boxing drama starring Jake Gyllenhaal, could be his most intense film yet. Highlighting the personal cost a boxer faces on his way to the top, the movie - written by Sons of Anarchy creator Kurt Sutter - has been getting a lot of attention so far. Gyllenhaal delivered a harrowing, Oscar-worthy performance in Nightcrawler last year, and the actor underwent an incredible physical transformation for Southpaw. In recent years, he has continually delivered strong work, and by all accounts, this new film could be another big-screen triumph for him. The fact that Rachel McAdams, Forest Whitaker and Naomie Harris costar only boosts Southpaw's potential for greatness. Check out the latest trailer for Southpaw. Turning the reboot trend on its ear, the new Vacation hopes to bring the wacky Griswold family to the 21st century. Ed Helms takes the lead as Rusty Griswold, the grown-up son of Clark (Chevy Chase) and Ellen Griswold (Beverly D'Angelo), with Christina Applegate onboard as his long-suffering wife Debbie. Chris Hemsworth and Leslie Mann also pop up to show off their comedic chops as well. Rehashing the plot of the original 1983 comedy, the film follows the Griswolds as they road-trip their way to the Walley World theme park for some family bonding and encounter a series of over-the-top obstacles along the way. The new film looks like it respects the series' legacy - Chase and D'Angelo reprise their roles, for example - and simultaneously attempt to poke fun at the idea of a franchise reboot entirely. Check out the latest trailer for Vacation. Mission Impossible: Ghost Protocol went on to become quite the box office champ after it debuted back in 2011. The Brad Bird-directed film earned universal acclaim and nearly $700 million worldwide, despite the fact that the big-screen franchise was already 15 years old. Now Mission Impossible: Rogue Nation sees Tom Cruise back in the role of Ethan Hunt for a fifth go-round, this time with director Christopher McQuarrie (Jack Reacher) behind the scenes. Each entry in this series has found a way, for the most part, to keep things fresh, and the new film - which sees Hunt and his team, including returning stars Jeremey Renner and Simon Pegg, facing off against a rogue organization that rivals IMF - aims to up the ante in every way. Check out the latest trailer for Mission Impossible: Rogue Nation. July could prove to be the most jam-packed month so far this year, with superheroes, super-spies and Terminators in the mix. Without a doubt, there's something for everyone this month across a broad range of genres, and it will be interesting to see which films manage to win over moviegoers.